Looking for company for next weekend’s CicLAvia Pasadena event? Come walk with us! Will be starting at 10AM from the corner of Bonnie and Colorado (in front of the Chick-fil-A). We’ll walk west on Colorado, and exploring the route “spurs” on Lake Ave and Raymond too. Pasadena has played host to parades, bike races and music festivals, and for the first time is opening its streets to the largest car-free open streets event in America. CicLAvia – Pasadena Presented by Metro takes place from 9:00 a.m. – 4:00 p.m. on Sunday, May 31. The city will lend its own charm and flair to CicLAvia as participants travel along Colorado Boulevard, and down side streets to parks and historic architecture using foot, pedal and non-motorized wheel power. 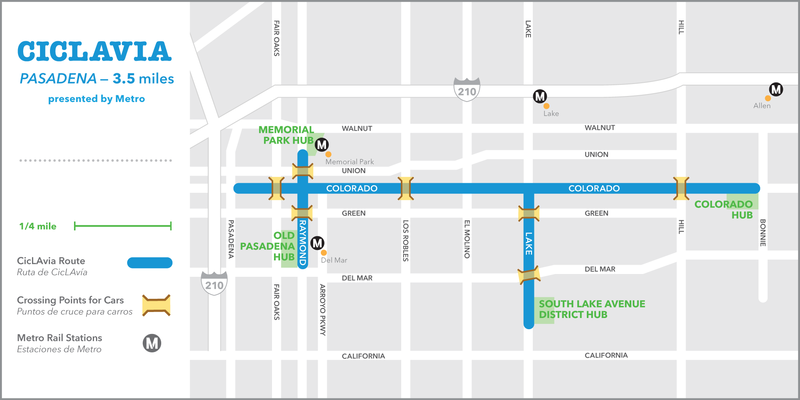 Go Metro to CicLAvia, the event route will connect to the Memorial and Del Mar the Metro Gold Line Stations enabling participants to have a car-free or car-lite day. CicLAvia – Pasadena Presented by Metro is the most walkable CicLAvia to date at 3.5 miles. The cozy distance will offer participants the opportunity to peruse and explore Pasadena’s business gems and cultural treasures. Spurs off the main route on Raymond Avenue and Lake Street will take participants to local parks. And CicLAvia’s new partnership with Kurios – Cabinet of Curiosities, Cirque du Soleil’s newest touring Big Top show, coming to southern California this fall, will give participants young and old a smile-inducing and awe-inspiring entertainment adventure. Explore Washington Boulevard from Sierra Madre Boulevard to Fair Oaks Avenue – a significant tour of central Pasadena. There are lots of interesting old and new businesses especially on this route. About 3.8 miles one way, double that if you do it round trip. (or Bus #268 can take you back near PHS – Orange Grove/Sunny Slope). 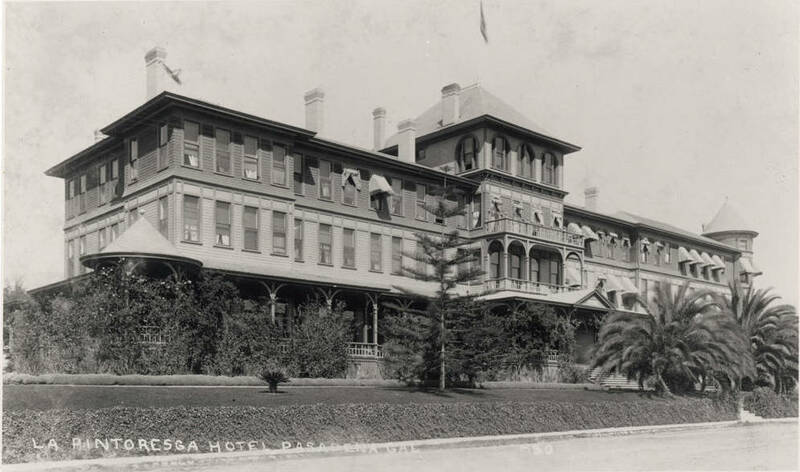 Some things I’ve learned about Washington Boulevard from Wikipedia: Washington Boulevard was constructed in the early 20th Century to facilitate vehicular access to the Hotel La Pintoresca at Fair Oaks & Washington, and to service riders on the East Washington Streetcar line. The line ran for 2.5 miles between Los Robles Avenue and Santa Anita Avenue. Washington Boulevard originally terminated at Arroyo Boulevard and Altadena Drive. An extension west to Linda Vista was built in the 1940s and another southeast to Pasadena High School in the 1960s.